After President Grover Cleveland sent the Army into Chicago to crush the Pullman Strike of 1894, The Nation wrote that there would always be men like Debs, then head of the American Railway Union, those who are “greedy of notoriety and crazy to show their power.” But by 1919, when Debs was sent to prison for obstructing the military draft, The Nation had changed its tune. A year later, in a book review of Debs’s authorized biography, the critic and art dealer Harry Salpeter assailed the Wilson administration for its imprisonment of the socialist leader. 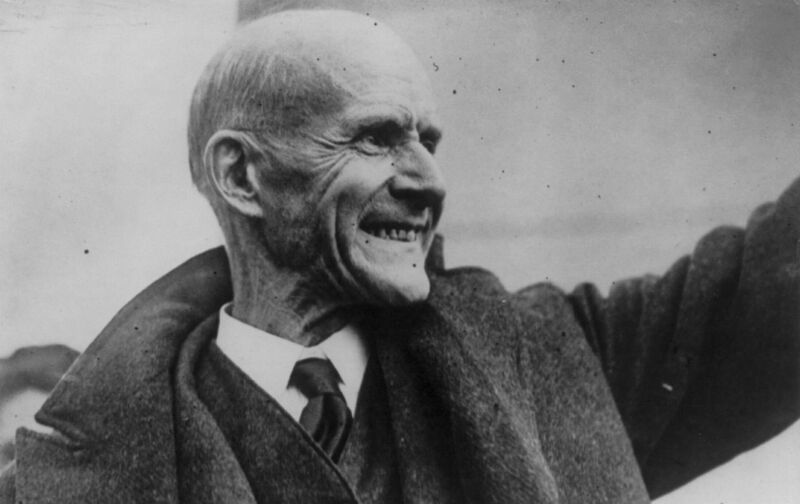 The conviction and imprisonment of Eugene V. Debs was the symbol of our war madness. His imprisonment may have been necessary to silence a propagandist whose accusations the Administration would not or could not answer. His continued imprisonment now must serve to silence any who proclaim that democracy is the governing motif of the present Administration. There are hundreds of persons in the prisons of this republic because they committed the “crime” for which Debs was convicted. Their names are unknown; the world is indifferent to their existence. They, too, are witnesses to the false pretense of our democracy. But Debs is the flaming witness. Was the purpose of Debs’s imprisonment to impress upon his mind the fact that he had committed a crime and that he must pay the legal penalty? But how can you punish a man with so compelling a consciousness of the right? In what way can you impress the thousands of his followers with the fact that he is a felon, not a martyr? Imprisonment has neither degraded him nor diminished his influence. Once more in the remorseless conflict between lovers of liberty and the state the lovers of liberty have proved that the state is powerless against them so long as it tries to suppress and destroy their ideals. The AlmanacToday in history—and how The Nation covered it.